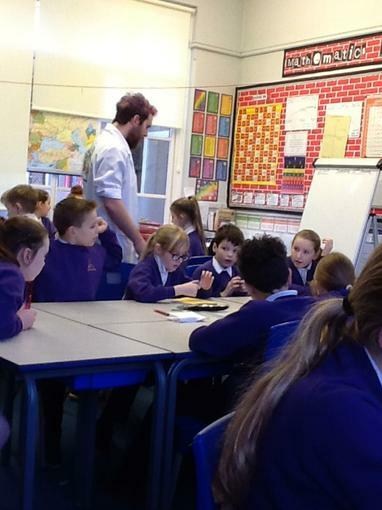 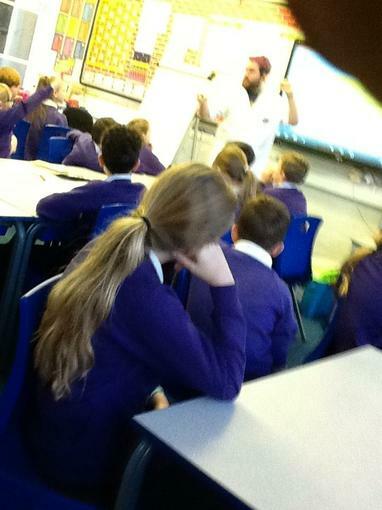 Mad scientist Tom, with his purple hair visited us Tuesday 22nd January to share with us his knowledge about Space. 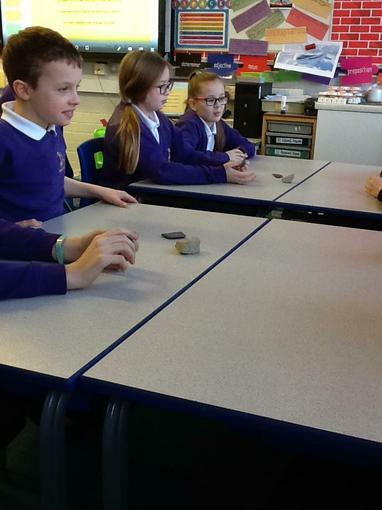 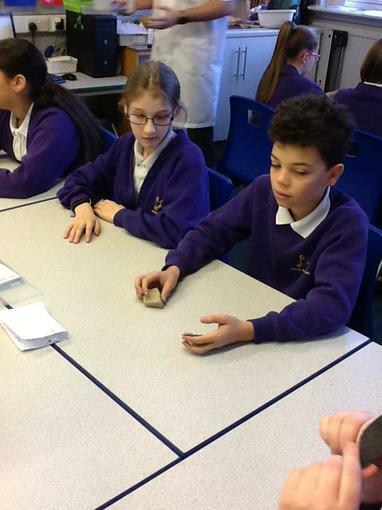 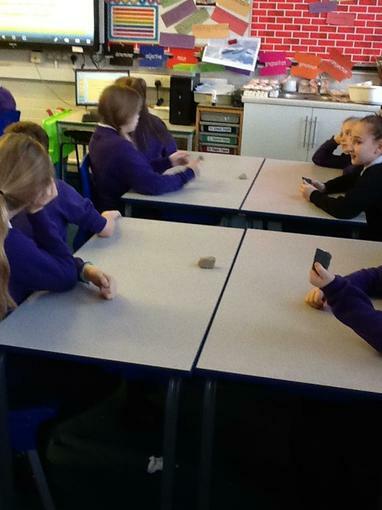 We looked at different types of rock,and then we investigated how the size if a meteor crashing onto the surface of the moon would affect the size of the crater created. 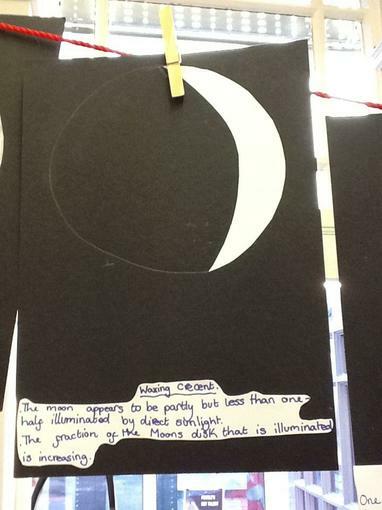 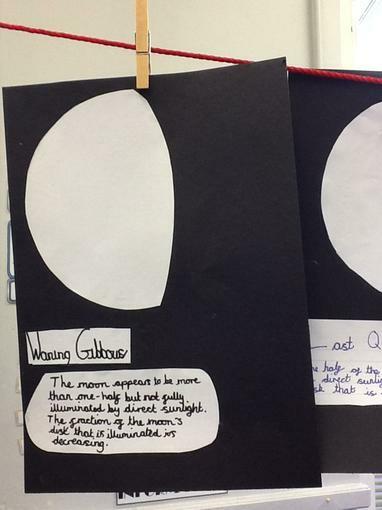 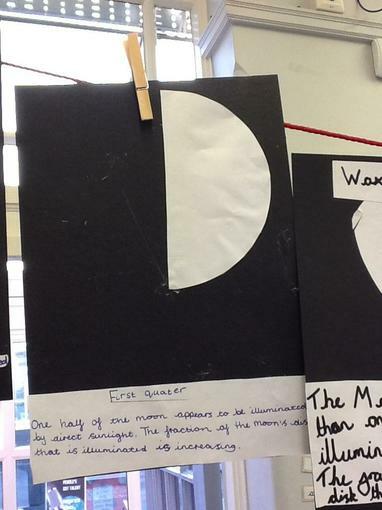 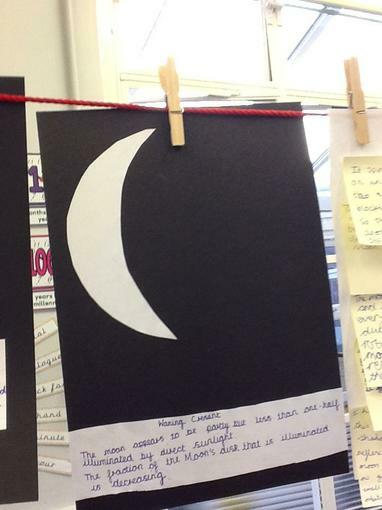 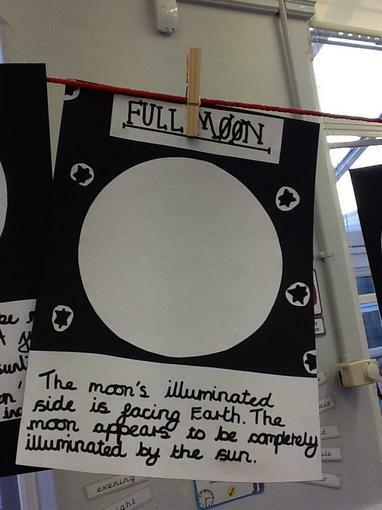 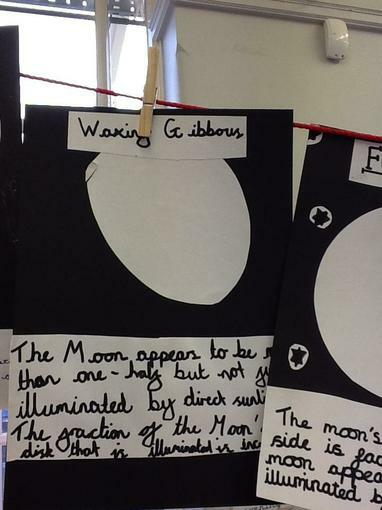 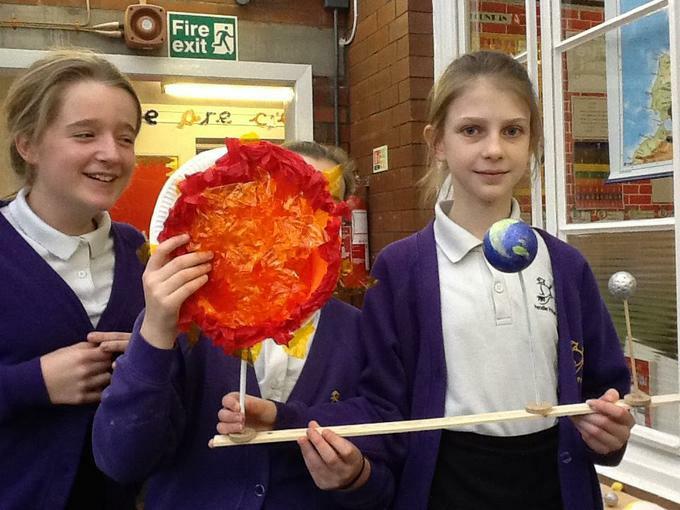 Exploring the relationship between the Earth, Sun and Moon. 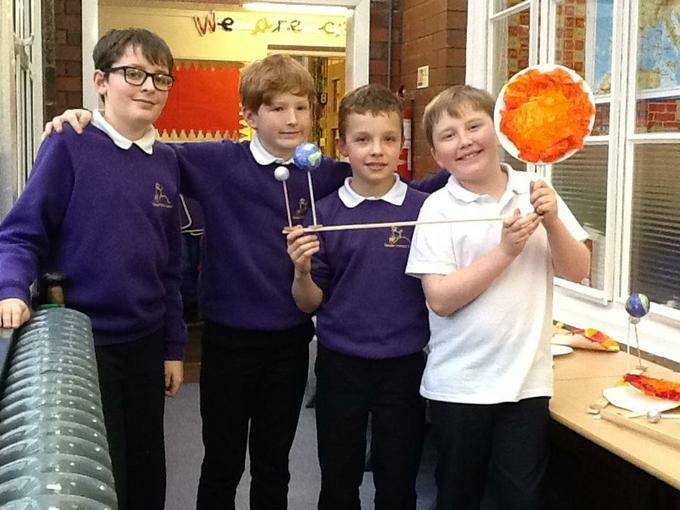 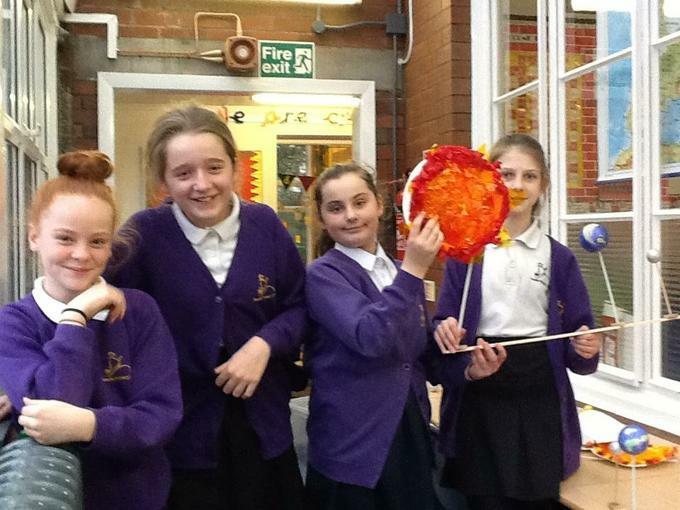 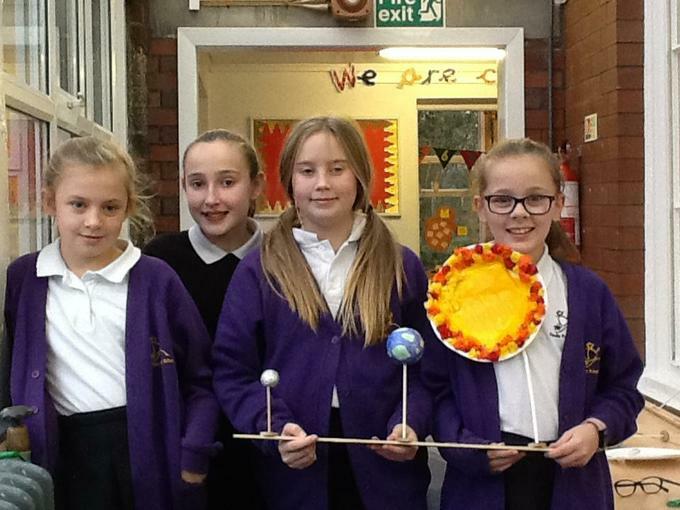 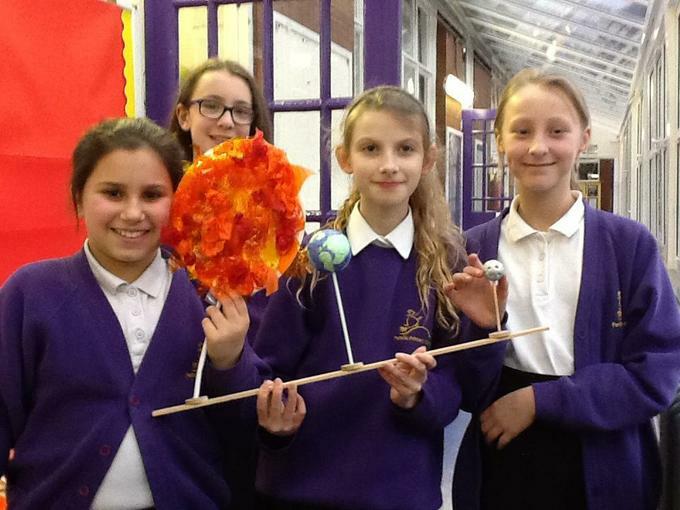 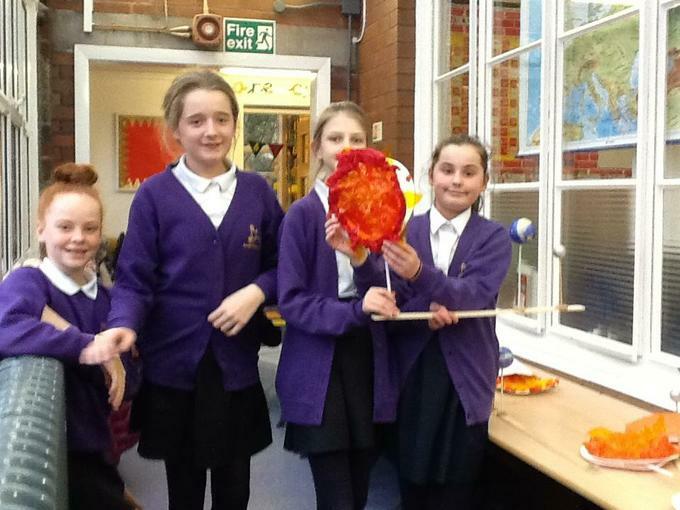 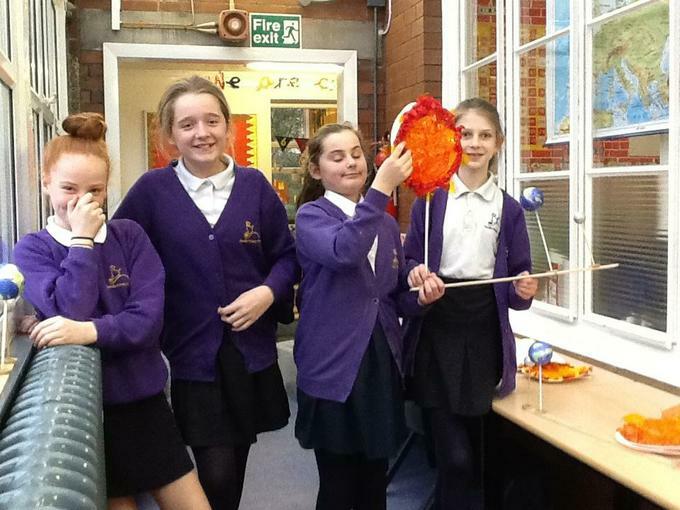 We made models to show the relative size of the Sun, Earth and Moon. 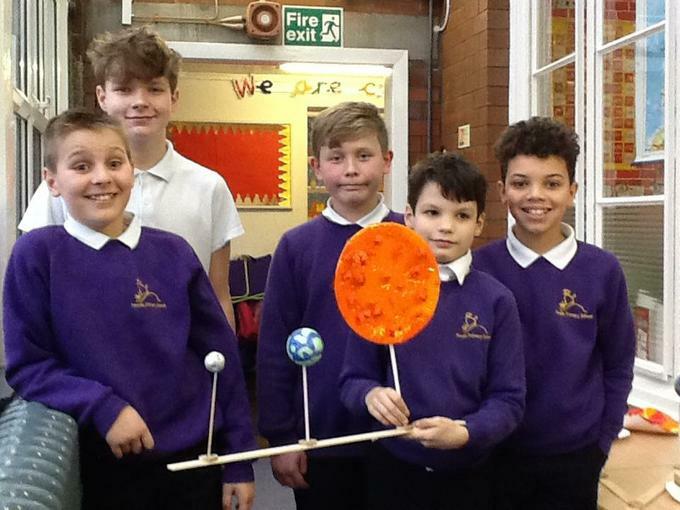 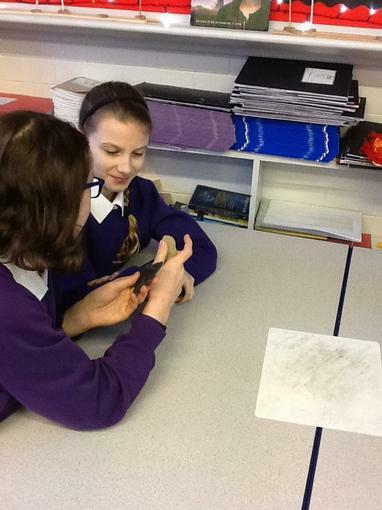 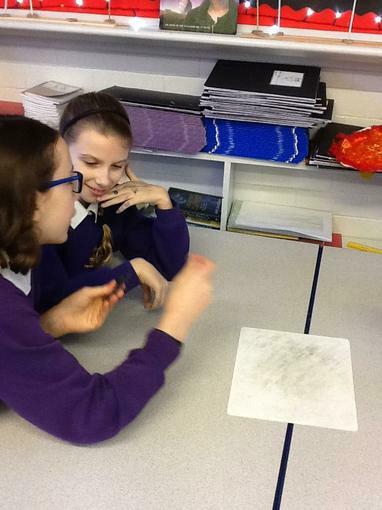 We then used our models to explain how the Earth and Moon move in Space. 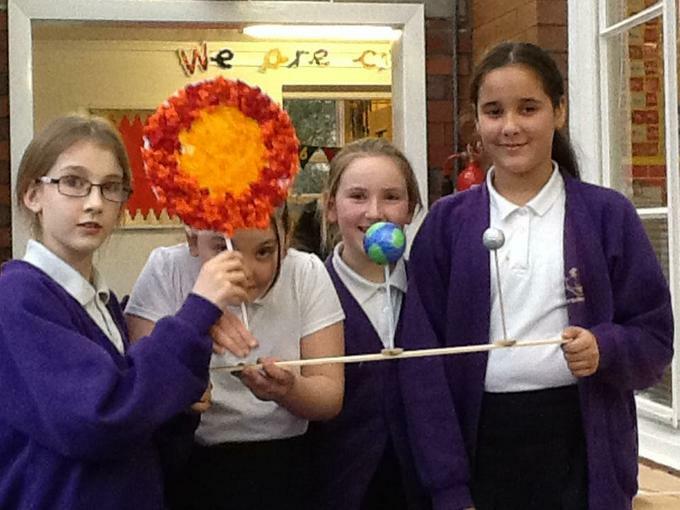 The Earth rotates on its axis every 24 hours. 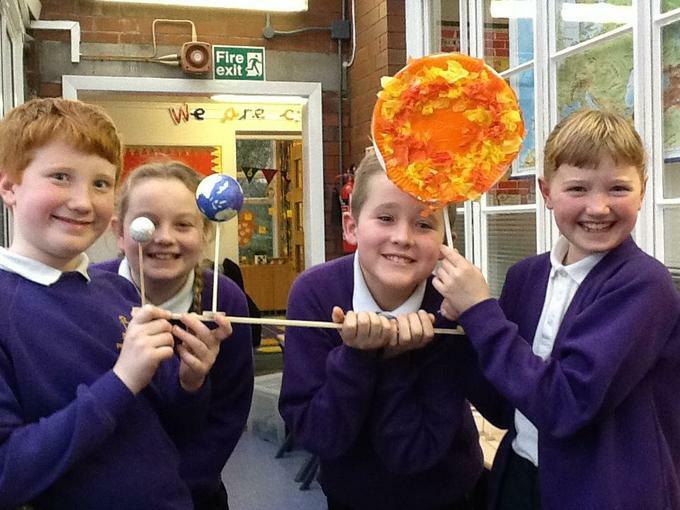 Our Solar System is heliocentric, meaning that the Sun is at the centre. 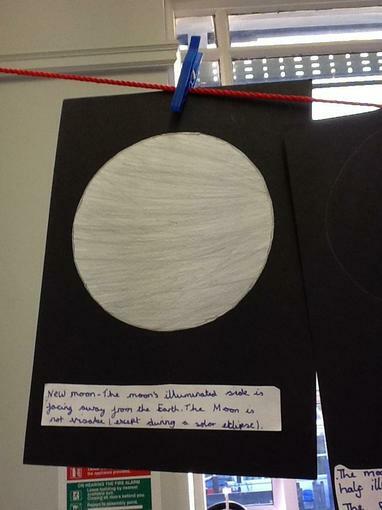 The Moon orbits the Earth every 28 days. 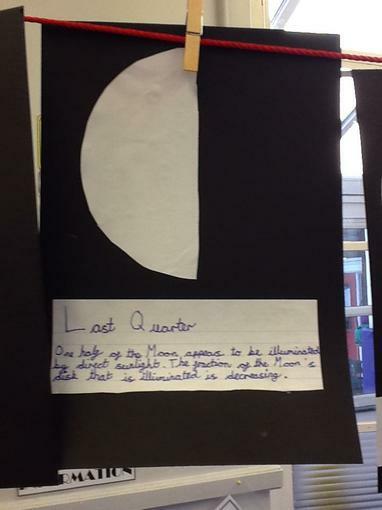 It takes the earth 365 and a quarter days to orbit the Sun.